Painting is a sounded element but its totally silent , there is no any voice or noise. But the silence of painting is making a big sound in vision of painting viewers . The color and line on canvas say everything to viewers about nature of a painting creator . it is real fact of painting in our universe. It is still with painting from historical time to till today and it will be continue in future with painting . Because it is a universal truth about painting ( visual art ) . I am saying it ,Because I am living it ,when I visit to painting of other painters of our world . in painting of other artist i am notice and observe to painter nature . in that painting visit I get to artist and his true art expressions. I know every artist have a different nature but they all have one nature in self that’s name is painting creation..haha I am also in that nature because I am master of Fine Art In Painting . 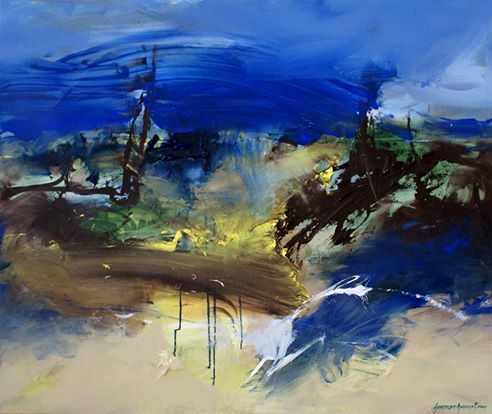 Some artists are creating story painting, someone are creating nature painting, someone are creating imagination and someone are creating free expressions on canvas ( action painting ) . When I am visit to a free expressions painting of any artist of my world . in that time I am enjoying to his live free motion or expression ( action ) , that paintings are give me real fun to my art vision . Because I am also creating free expression painting in my art journey . You know in 2008 I were joined to facebook network for my art communication . by this network I were connected to our world art family .This facebok network was gave me a very large canvas for live art talk to our world . By facebook I were connected to many great and fine artists of our world. they all are active and busy in art work at their own country in present . 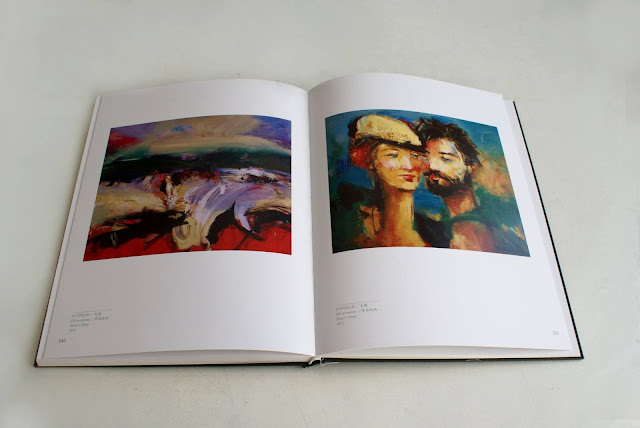 In 2008 , the BANT art magazine of Turky was published to me in 10 page article with Bant magazine title . that time I did founded to many artists on facebook network and they all were added me as artist friend on their facebook page. It was good change for me about know to art culture of other countries by this online network format. 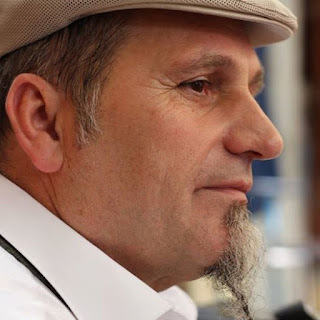 In same time I were connected to Artist Shefqet Avdush Emini from Netherland . 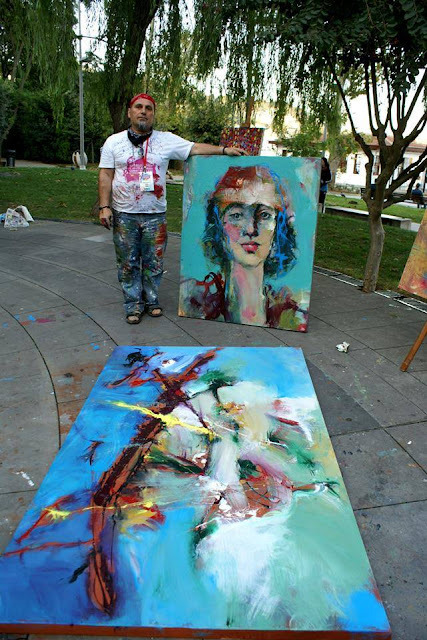 he is a very active and creative portrait artist , his action painting nature is always giving me fun. he is living to action painting in his art nature . I can compare to his art nature to great art master Domio . you know Artist Domio was very critical active and fun creator artist of western art History . 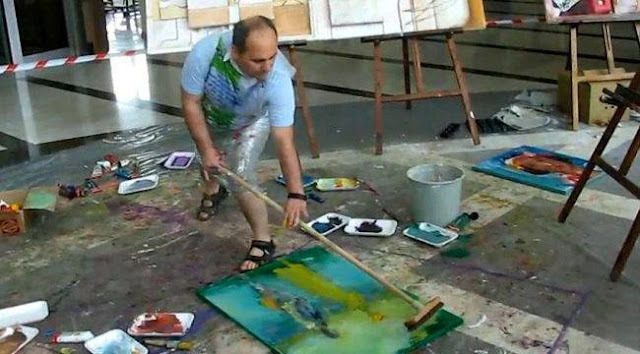 Actually he is painting by his true heart motion . so that true heart motion or in painting process, his action is creating real fun for viewers . 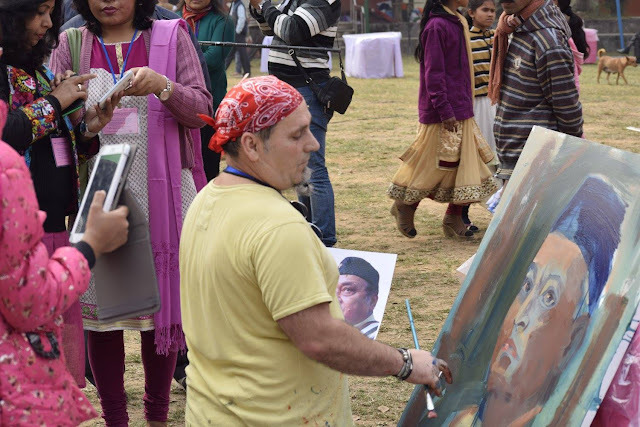 This year He was came India and here he did created a creative portrait of great singer of INDIA Sir Bhupen Hazarika . 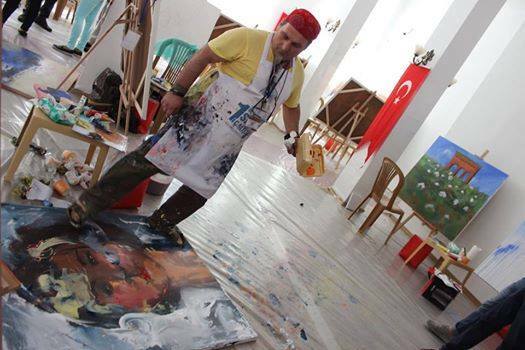 it was bad luck I could not joined to him in that live art painting event of my nation . Because I were busy in family work . so I did missed his live action painting in INDIA . But true artist friend was came in India and I noticed his true art work . it was great for me .so thanks to Artist Shefqet Netherland . Artist Shefqet is starting to painting by his conscious but in mid of painting he went in his unconscious . so his unconscious part of heart and vision is giving fun to his art viewers . I observe it in his action painting . he has full control on his art medium , he know what he is create and how to finish . but in his work process when he enter in unconscious part that movement is change to his mood and action or painting impression . 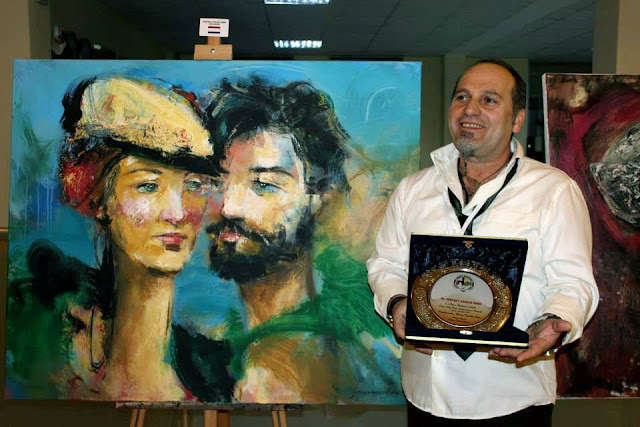 his painting is give a sense of magical painting when he complete to his painting in form of portrait or abstract art through his action painting activity . On facebook we are not talk daily by chat or message but by visuals we are talking every day . Artist Shefqet visiting my painting update and he is like ( Notice ) time to time and I am also visiting his true action painting and getting real fun by his art work . In his art work visuals you will feel my words and fun feeling too. So here I said about artist Shefqet (Netherland ) .True action painting is give real fun to art viewers .